In different ways, Judaism, Christianity, and Islam all trace their beginnings to Abraham. His wives, Hagar and Sarah, though also pivotal in the story, have received far less attention. 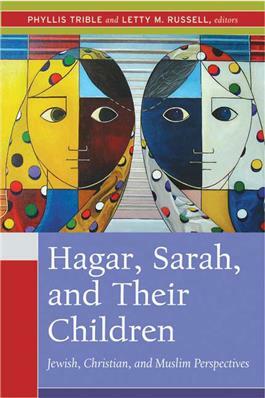 In this book, however, noted Jewish, Christian, and Muslim scholars focus on Hagar, Sarah, and their children, from Ishmael and Isaac to their many descendents through the centuries. Moving from ancient and medieval sources to contemporary appropriations of the Sarah and Hagar story, the authors begin with an overview of the three religions--from their scriptural beginnings to their contemporary questions. They then explore how the story was developed after its canonization, in rabbinic interpretations, in the stories of Islam, and in the teachings of the early church fathers. They also present contemporary womanist and feminist perspectives. Timely, relevant, and provocative, this book provides an entree into interreligious discussion and understanding. SirReadaLot.org(March 2, 2006)Review is copy taken from the book, backad,and catalog. Do not send any more books to SirReadaLot.